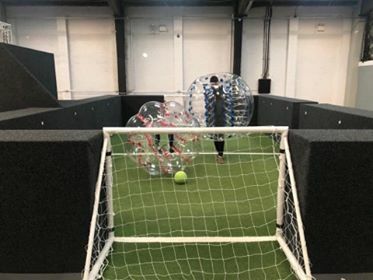 The newest feature at Jump Heaven… Zorb Football! All the fun of playing a normal football game but in a ZORB! Try to score goals whilst in a Zorb… it’s not as easy as you think BUT VERY FUN!